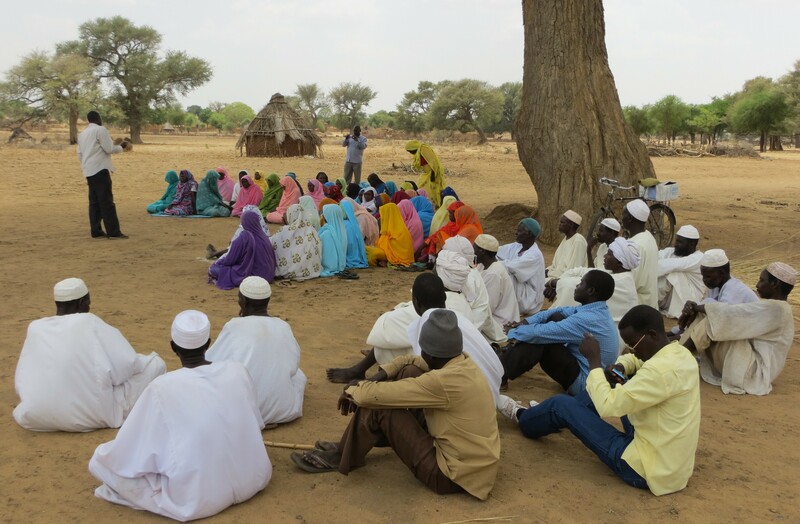 Through its Resources, Livelihoods, and Security initiative, NEF brings together communities in Central Darfur—now emerging from years of devastating conflict—to help them craft sustainable solutions for economic recovery: micro-enterprise development, agricultural production and, natural resource management. Livestock is a cornerstone of the local economy, and animal health is critical for the livelihoods of NEF’s partners. Through the paraveterinary program, NEF partnered with the Department of Animal Wealth of Central Darfur to create a network of 25 paravets equipped to help maintain livestock health and to treat common diseases. Participants recruited from partner communities attended a 21-day course on fundamentals of animal care and a three-day business development training. The paravets operated as private entrepreneurs, operating sustainably on a fee-for service basis, which helps them recover the costs of medicines and earn an income. Before he received training, paravet Abdelkarim used trial-and-error methods to treat animals. “I wasn’t very confident about what I was doing, because I lacked fundamental scientific knowledge and skills. After the training, I feel far more self-confident. I know what I am doing and I can see the positive results of treatments.” Abdelkarim also opened a small store selling veterinary medicine. This is important in this area, because pastoralists lack immediate access to drugs for their livestock. Since its launch in 2013, the Resources, Livelihoods, and Security initiative has impacted the lives of thousands of people, many of whom have had a history of conflict with each other. Along with the 2,330 people who took part in business-training workshops, 460 people gained access to clean water from 23 water pumps installed in 13 villages, and 7,000 farm families acquired certified seed and tools through NEF-organized agricultural fairs. NEF’s Resources, Livelihoods, and Security initiative has received support from USAID’s Office of Foreign Disaster Assistance, AECOM, and United Nations–African Union Mission in Darfur (UNAMID). Click here to read more about our work in Sudan.